Don’t let an unnoticed leak drain your wallet. Statistically, your home likely uses an average of 400 gallons of water a day. 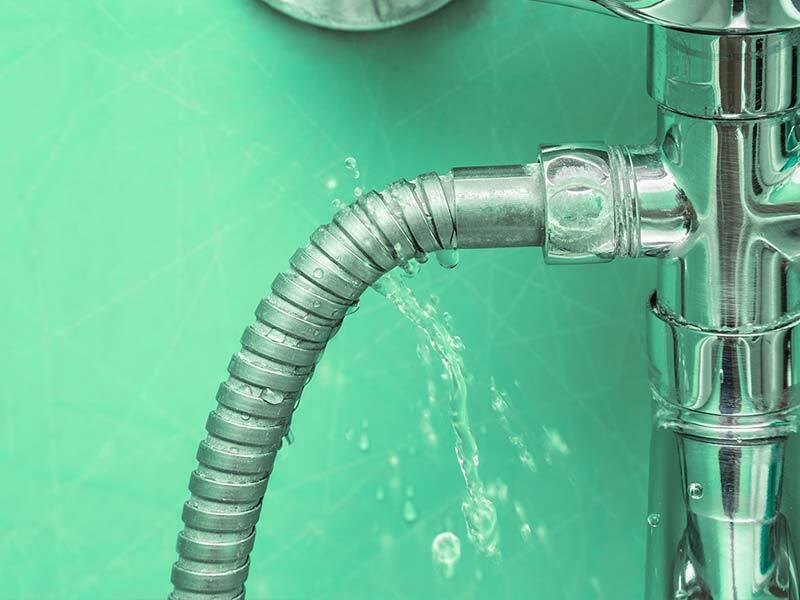 Your home’s plumbing system helps you wash dishes, flush toilets, and take showers. When leaks happen, you need to handle the issue right away, we’re here to help. The plumbing technicians at Dover Plumbing Company are trained to repair leaks to protect your home from water damage and wasted money. Flooring – water has to go somewhere and often it’s the floor, unchecked leaks can cause water to be trapped under floorboards, tiles, slabs, and more. Left to run free, leaks can cause foundations to crack, and for mold or mildew to grow. Walls – Since most of your home’s plumbing is behind the walls, water from a broken pipe or a leak, can seep through the drywall. Water leaks behind walls can cause damage to the structure weakening walls, or causing them to collapse. These leaks can also create a mold problem which often requires costly remediation. Mold & Mildew – Mold and mildew thrive in damp dark places. A leak can promote this growth jeopardizing the health of your whole family. 24/7 Emergency Service. Ask for your free estimate or schedule an appointment. When you need a reliable plumbing company that strives for 100% customer satisfaction, contact us online or at 713-991-6600. Our staff is here to assist you with any questions you may have. Don’t forget, we offer free estimates! Give us call today to resolve your plumbing needs.